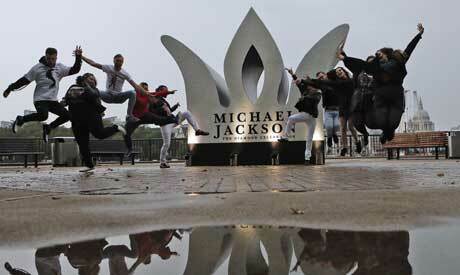 Fans of Michael Jackson honored the "King of Pop" on what would have been his 60th birthday on Wednesday by gathering at a temporary monument in the shape of a crown erected in his honor in London. "The first time I saw him in person, I was 18 years old, he came to London and it was just manic," said fan Mayah Thomas, now 31. "(Jackson was) really shy, but also really really personable. He would always try and make the fans comfortable." Jackson, famed for hits like "Bad" and "Beat It", had been rehearsing for a series of comeback concerts scheduled in London before his sudden death in 2009 at the age of 50. The crown monument stood for just one day.